How a trust operates can seem difficult to comprehend at first glance, however, the concept is relatively straightforward. A trust is a legal entity, much like a corporation, that is separate from the person that creates it. Just like a company, an individual or other entity called the trustee also manages a trust. The first duty given to trustees by the Florida Trust Code is the obligation to administer the trust in good faith. According to Florida Statute 736.0801, “Upon acceptance of a trusteeship, the trustee shall administer the trust in good faith, by its terms and purposes and the interests of the beneficiaries…” This means the trustee has an obligation to manage the trust according to its terms, but also must balance this duty with the duty to manage the trust in the best interest of the beneficiaries. The trustee’s primary duty is his or her duty of loyalty to the beneficiaries. This duty of loyalty means that a trustee can never administer the trust in a way that is more beneficial to the trustee than the beneficiaries. Florida law states that any sale, encumbrance, or another transaction involving the investment of trust property for the trustee’s owner personal benefit is voidable by a beneficiary of the trust. The only exceptions to this rule are when the transaction is authorized by the trust terms, approved by the court, or has been endorsed by the beneficiaries. The duty of loyalty also prevents a trustee from self-dealing with himself. This means the trustee cannot take loans from the trust or charge unreasonable fees for any professional service he or she provides to the trust. 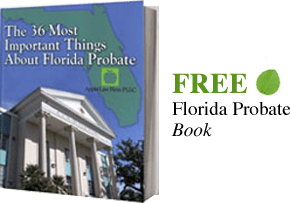 Florida law also presumes that any transaction using trust property that benefits a trustee’s spouse, descendants, or another person in charge of administering the trust is also a violation of the duty of loyalty. The duty of care is most likely what people mean when they want to know what exactly are the functions of a trustee. Florida statute 736.0803 sets forth the broad standard for a trustee, which is the prudent person standard. The law states, “A trustee shall administer the trust as a prudent person would, by considering the purposes, terms, distribution requirements, and other circumstances of the trust.” A trustee is held to a different standard if he or she has special skills or expertise, such as if the trustee is an accountant or a financial analyst. Florida law states that a trustee with special skills or expertise must use the skills and be held to a higher standard. For those who are uneasy about performing the duties of a trustee, there is good news. A trustee is also allowed to delegate duties and the powers of the trustee. The law states “that a trustee may delegate duties and powers that a prudent trustee of comparable skills could properly delegate under the circumstances, including investment functions.” The delegation will be proper as long as the trustee exercises reasonable care and skill in selecting an agent and establishing the scope of the delegation. The trustee must also make sure to review the agent’s actions periodically. The trustee must take control of the trust property and take reasonable steps to protect the trust property. These duties also include the obligation to keep clear, distinct, and accurate records of the administration of the trust. There is also a duty to keep trust funds separate from the trustee’s property, which means that all trust assets must be held in separate accounts from the trustee’s personal assets. The trustee is also required to defend the trust from creditors or claims by other people. The trustee must act in fairness towards all the beneficiaries. The trustee must not show favoritism towards one beneficiaries—he or she must treat the beneficiaries equally. A beneficiary of a trust has the right to know how the trust is being administered and is entitled to know the assets in the trust. A beneficiary may go to court and be granted the right to examine the records and books relating to receipts and disbursements made during the administration of a trust. A trustee also has the duty to keep the beneficiaries informed of the trust and its administration. Duty to notify trust beneficiaries of the existence of the trust within 30 days after acceptance of trust. A trustee must keep the trust assets separate and apart from the property of the trustee or third parties. Conflicts of Interest: Self-Dealing A trustee has a duty of loyalty to the beneficiaries. Self-dealing is not permitted. If a trustee places himself or herself in a position hostile towards the beneficiaries, the trustee must resign. Duty to make Trust Property Productive A major responsibility the trustee has is to produce income. In making investments, the trustee must use care, skill, and caution. If you would like more information the Duties of a Trustee, CONTACT our Florida Trust Lawyers by email or call us at 904-685-1200 to discuss your situation today.